Strains of P. syringae are noted for their diverse and host-specific interactions with plants (2,3). Specific strains are assigned to one of the over 40 known pathovars, based on their ability infect different plant species. 2. Hirano, S. S., and C. D. Upper. 2000. Bacteria in the leaf ecosystem with emphasis on Pseudomonas syringae-a pathogen, ice nucleus, and epiphyte. Microbiol. Mol. Biol. Rev. 64:624-653. 3. Rudolph, K., T. J. Burr, J. W. Mansfield, D. Stead, A. Vivian, and J. von Kietzell. 1997. Pseudomonas syringae Pathovars and Related Pathogens. Kluwer, Dordrecht. 4. Loper, J.E. and S.E. Lindow. 1987. Lack of evidence for in situ fluorescent pigment production by Pseudomonas syringae pv. 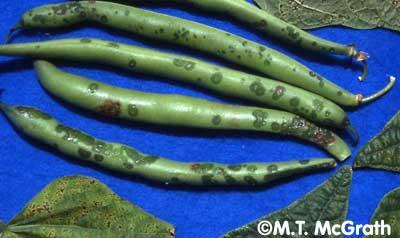 syringae on bean leaf surfaces. Phytopathology 77:1449-1454. 5. Lindow, S.E. 1993. 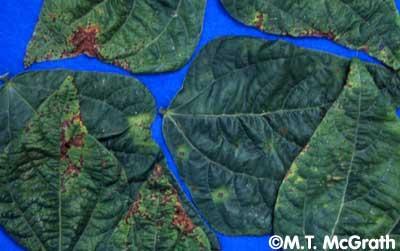 Novel method for identifying bacterial mutants with reduced epiphytic fitness. Appl. Environ. Microbiol. 59:1586-1592. 6. Gurian-Sherman, D., and S.E. Lindow. 1993. Bacterial ice nucleation: significance and molecular basis. FASEB Journal 9:1338-1343. 7. Beattie, G.A., and S.E. Lindow. 1994. Comparison of the behavior of epiphytic fitness mutants of Pseudomonas syringae under controlled and field conditions. Appl. Environ. Microbiol. 60:3799-3808. 8. Wilson, M., S.S. Hirano, and S.E. Lindow. 1999. 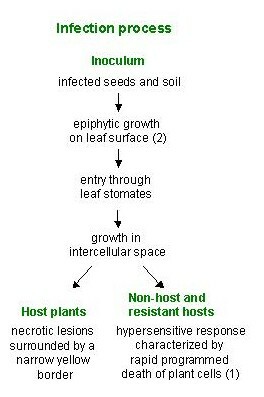 Location and survival of leaf-associated bacteria in relation to pathogenicity and potential for growth within the leaf. Appl. Environ. Microbiol. 65:1435-1443.